You all know by now how much I love (and wear) Just Fab. Well, they now have a service for our little ladies as well called Fab Kids. Christina Applegate is the mom and creative partner behind the brand (LOVE HER!). For $39.95 you get a full outfit. 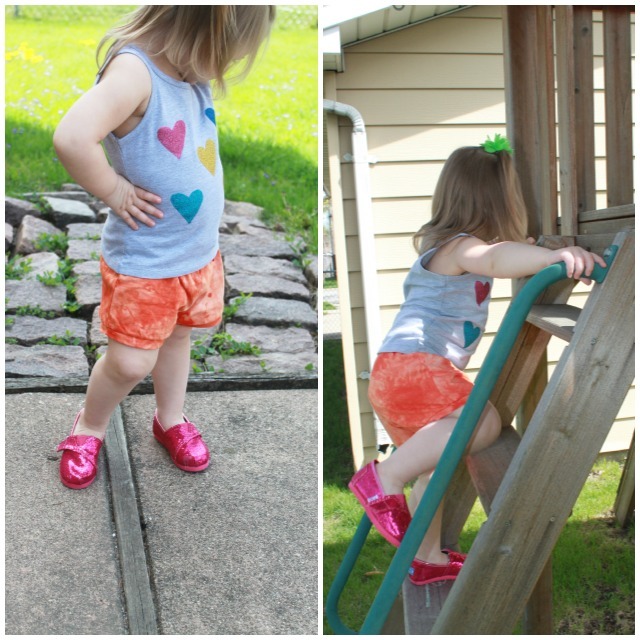 Yep, no need to style and pick out separates, Fab Kids sells you the look. It's fun too. 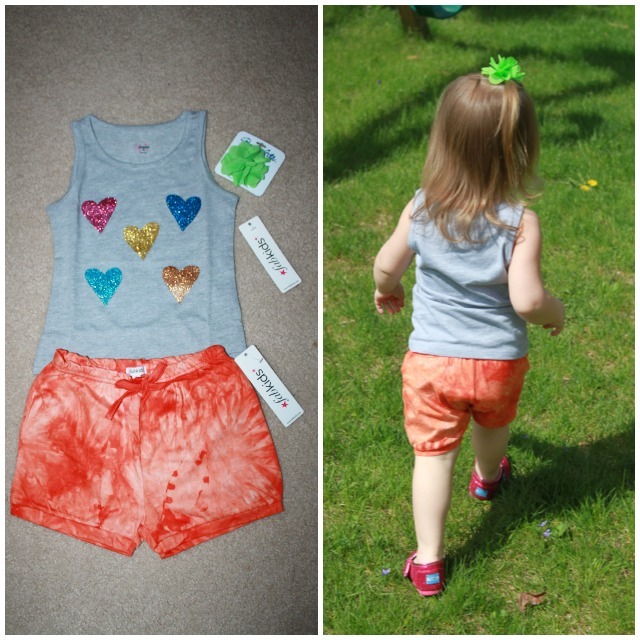 I pulled up the site and showed my little lady what her choices were, this is the outfit she wanted! For sure made matching easier as she is a very opinionated two year old. To finish the look off she picked her glitter Toms and tada...super easy outfit that she was very excited to wear. They also sell wardrobe mix and match ready to play sets(9 piece set for $99.95 and 12 piece set for $139.95). How cool is that? You can do all your spring/summer clothes shopping in one place and all the pieces are interchangeable. 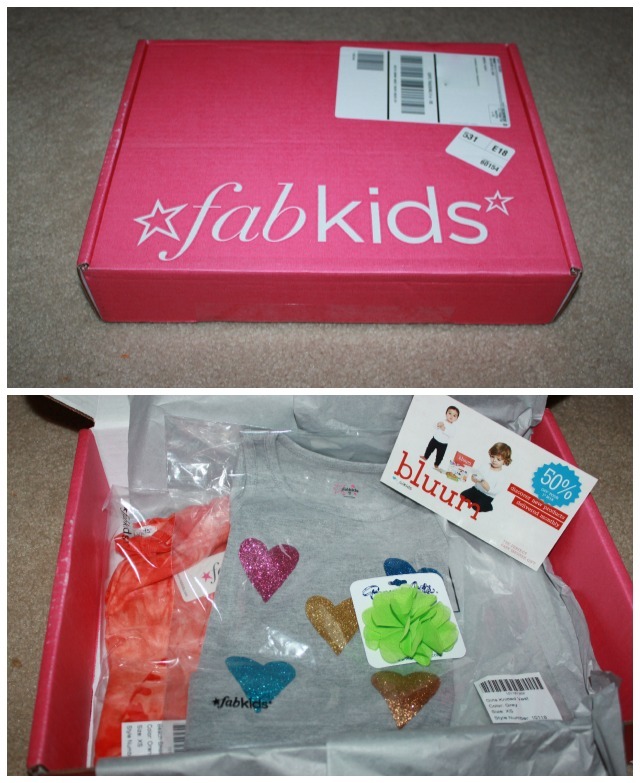 Are you a Fab Kids member? I could see myself giving this service as a gift too. Really such a great idea. OMG, her fashion pose just kills me, and those glitter Toms are adorable. What a styling little lady you have there. This is ADORABLE. Omg, her pose. So cute! lol, right? She's such a ham! Love this idea and was so sad when I read they didnt have it for boys! Ugh! But it is a great idea for a baby shower gift too! Which I am in need of. Thanks for posting! Great outfit and love the glitter Toms!! Sweetest ever! What a great idea! So sad when I read they didnt have it for boys. I'm thinking this might be a great gift idea too for a baby shower? And btw, love your style too - and often think I have a similar whatever you are wearing! We are definitely on the same page for style choices!